The Ithaca College wrestling team placed fifth at the New York State Intercollegiate Championships on Nov. 20 at Cornell University. Cornell University placed first at the meet. Sophomore Jake Ashcraft finished second in his 184-pound pool and was the highest individual finisher for the Bombers. 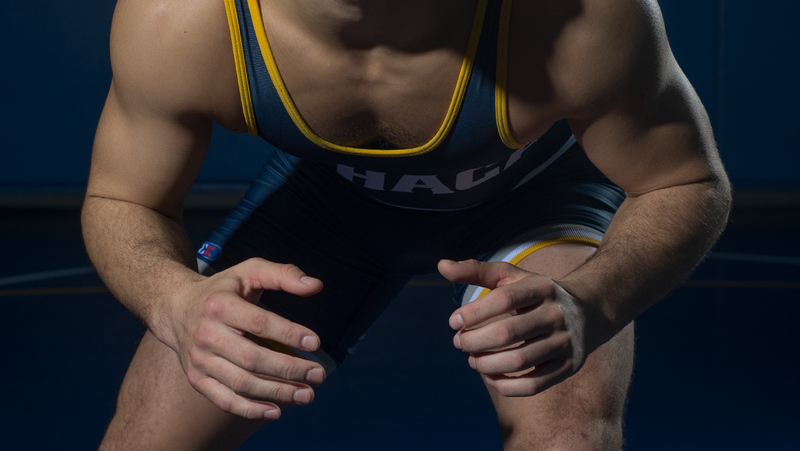 He defeated Merchant Marine Academy freshman Kurtis Hahn, Long Island University freshman Dan McClure and Buffalo State junior Brett Perry before falling to Cornell University senior Gabriel Dean. Junior Nick Velez finished third in his 165-pound pool. He defeated Nassau Community College sophomore Mike Dusold and SUNY Oswego sophomore Troy Seymour before falling to Cornell University sophomore Brandon Womack. Junior Bryan Israel took fifth place in his 133-pound bracket. He defeated New York University junior Austin Day before falling to Army West Point sophomore Conner Ziegler. Senior Nick Wahba defeated Hofstra University sophomore Connor Burkert and Nassau Community College Nicholas Casella before losing to Cornell University sophomore William Koll in the semi-final. Wahba finished fourth overall in the 141-pound bracket. Senior Jimmy Kaishian finished sixth in his bracket. He defeated SUNY Brockport senior Dillon Stowell and freshman Hofstra University Jacob Martin before falling to Cornell University freshman Noah Baughman. The Bombers will compete in the Spartan Invitational at 9 a.m. Dec. 3 in York, Pennsylvania.